Flaunt your beautiful curves with this empire waist dress from Varanga. 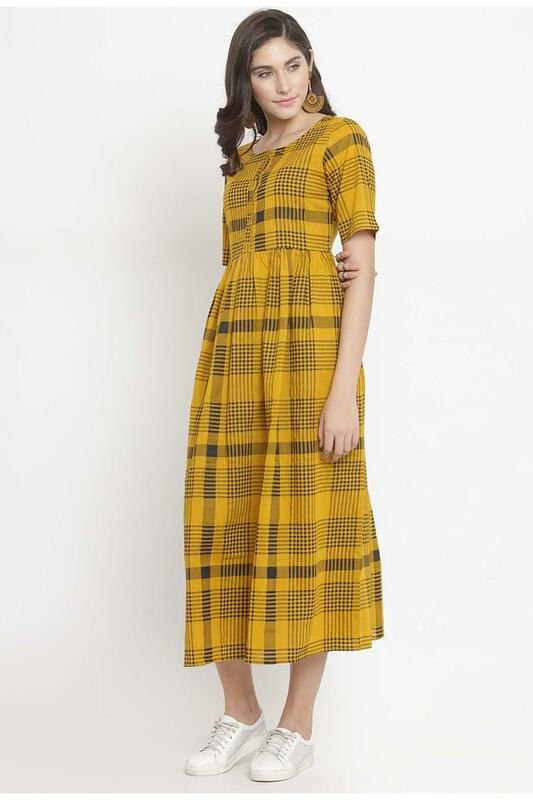 Fashioned using cotton blend fabric, this dress will not fail to catch your fancy at a single glance. 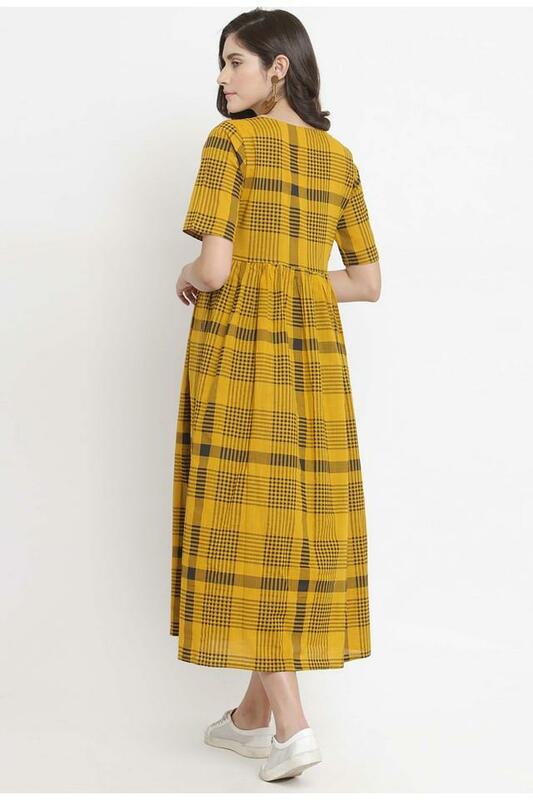 Featuring a round neck, elbow sleeves and checked pattern, this dress holds a superlative enticement. Inspire dapper looks with this empire waist dress. Team this dress with a pair of ballerinas for a chic look.